What is Flashchat Chatbot as a Service? What kind of business needs a Flashchat messenger chatbot? Why should I use a Flashchat chatbot on Messenger? How do I login to the Flashchat platform? Does a Flashchat messenger chatbot replace manpower? Is it possible for a manager of a Facebook Business Page to communicate with the users directly instead of the messenger chatbot while the service is up and running? How can I monitor the dialogues between the Flashchat messenger chatbot and the audience of my business? How can I change the content of my Flashchat messenger chatbot? I have more than one Facebook Business Pages. Can I do two different tests separately? I have more than one Facebook Business Pages, will I have two different subscriptions? Why is the pricing based on the number of fans? Can someone who is not a fan of our Facebook Business Page send a message and get response from the Flashchat messenger chatbot? What happens if a user types something that is not covered or understood by the messenger chatbot? How many administrators or agents can I have per Facebook business page or per messenger chatbot? Is there any limit to the number of users or messages that can be handled from a Flashchat messenger chatbot? How often can I modify the content of my messenger chatbot? How long does it take for the Flashchat messenger chatbot to begin to be functional and to serve the audience of my business? Can I modify the functionality of a Flashchat messenger chatbot? I want my content to be automatically uploaded to my messenger chatbot and not to be uploaded by me, is this possible? Can I support my audience in other channels than Facebook Messenger? Can I see any statistics on how my messenger chatbot and how its interaction with my audience works? Can I use more than one language for the communication with my audience through the Flashchat platform? I do not get a lot of messages on my Facebook Business Page. I understand though that if our audience starts sending us messages on messenger, a Flashchat messenger chatbot would help us to improve customer service and sales. What can I do? How can people find my Messenger Chatbot? Here you will find a description of Flashchat's approach to Chatbots. Flashchat chatbot as a Service is a subscription based service where businesses access a proprietary platform and get (not develop) a messenger chatbot within minutes using ready & tested content & functionality for their type of business. Businesses also access analytics dashboard to monitor and assess audience’s engagement and are able to make possible content and features adjustments whenever they want. Flashchat Messenger Chatbots are for any kind of business (no matter how big or small is) that wants to have the best possible engagement outcome with the least possible effort at scale. Whether your business wants to automate FAQs, cancelations, product recommendations, new offers, newsletters or ordering a Flashchat messenger chatbot make it possible to be more personal, more proactive, and more streamlined in the way that your business interact with your audience. You are probably wondering “Why does anyone care about chatbots? They look like simple text based services… what’s the big deal?” Great question. We’ll tell you why people care about messenger chatbots. Every month, over a billion people around the world communicate with friends, families and over 60 million businesses on Messenger. Flashchat can help you automate core functions of your online business reducing customer support cost significantly while is helping you to increase engagement & sales. The admin of a Facebook Business Page logins to Flashchat using his/her facebook credentials, selects the Facebook page for which he wants to activate the service (the Messenger chatbot) and then gives Flashchat the permission to get access the business page. A Messenger chatbot from the Flashchat platform helps a business to automate processes associated with customer support and sales enabling at the same time admins or agents to participate when appropriate in the dialogues between customers & the business. Practically this means that a Flashchat messenger chatbot saves manhours from repeated, 24/7 tasks and gives more space and time to the manpower to improve engagement with the audience further. In a nutshell a Flashchat messenger chatbot is about improving engagement rather than human replacement. The administrators of a facebook business page are able to participate in the company's communications with users any time they wish. In these cases, the Flashchat messenger chatbot automatically stops the interactivity with the specific user and for as long as desired by the administrator of the page. At the same time the Flashchat messenger chatbot operates with the rest of the audience normally without any interruption. The administrator of a Facebook Business Page have access to messenger inbox where can he/she can see all the dialogues between the chatbot and the audience in detail. Using the management tool of Flashchat platform, the administrator of a Facebook business page who has been linked to the Flashchat can change the content of the Messenger chatbot whenever and as often as he wants. Yes. Each Business Facebook page associated with the Flashchat platform is entitled to a 14days period of free service trial. Yes. The content, the logic, the end-users and therefore the value that gets each Facebook Business Page that has subscribed to Flashchat is different. For this reason the service is charged separately for each Facebook Business Page. The number of fans of a Facebook Business Page is the most important indicator in terms of the potential audience that can interact with a business via Facebook Messenger thus the added value that a business can take the Flashchat service. This pricing method does not restrict either the type of audience (fans or not) or the number of users that can communicate with the company through the Flashchat Messenger chatbot. The Flashchat Messenger chatbot can answer and make dialogues with any Facebook user who sends a message to the company without any restrictions. In that case, the user receives a special reply message informing him/her that the specific request will be examined in more detail by the company and will return soon. At the same time, the administrator of the page (or any other Facebook user defined by the administrator) will receive a relevant messenger notification. Then, the administrator after examining the case may come back to the user for further support and enable the chatbot start interacting again whenever he/she wants. The Flashchat platform has no limitations on the number of admins or managers that can monitor or participate when required in dialogues between the messenger chatbot and the audience. The Flashchat platform does not restrict businesses in terms of the number of users or messages exchanged with the audience. Doing so, Flashchat increases the available budget of businesses to promote the service (e.g through Facebook ads) and thus maximize the benefits of using the Flashchat platform. A Flashchat messenger chatbot uses successfully tested, built-in features and thereby enables businesses and the audience to have a successful and comprehensive communication from the first time using the service. Using the management tool of Flashchat, the administrator of a Facebook Business Page who has been linked to the Flashchat platform can modify the content of Flashchat messenger chatbot the way he wants. In case businesses require additional custom functionalities, they can communicate with support@Flashchat.io to implement the relevant operation. Facebook is the most popular social network worldwide. Companies that have Facebook Business Page can potentially communicate with over 1BN users and Flashchat enables these businesses to scale their communication by automating basic interactivities with these users. For this reason, the Flashchat service is currently available through Facebook Messenger that can cover the largest potential audience worldwide. The Flashchat platform gives businesses access to analytics dashboard that displays useful statistics regarding the public's preferences, type of dialogues, the most frequent requests, the number of unserved use cases, etc. in real-time. Using the Flashchat platform, a company enables the audience to choose preferred language of communication. Currently the service supports up to 8 different languages. More information on support@flashchat.ai. With Facebook ads by adding the “call-to-action button” which directs the public to the messenger. The call-to-action text in the "Button" can be fully customized using relevant messages like "Send message", "shop now", "ask now", etc. You can use Web plugins, Messenger Codes, Messenger Links, or Messenger Usernames. Watch this video from Facebook's recent F8 conference (where they make their major announcements). At the 7:30 mark, David Marcus, the Vice President of Messaging Products at Facebook, explains what it looks like to buy shoes in a Facebook Messenger bot. Support is available via: Messenger, Skype and Email. 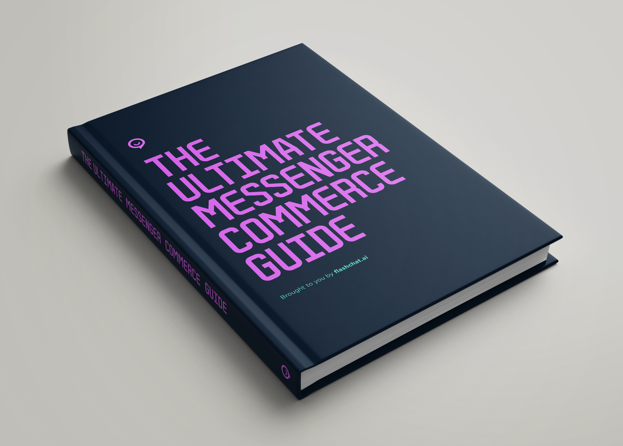 We will help you run the messenger chatbot in the best possible way and make sure you have set it up the right way to cop releases.